I am what you might call a gear head. I’m not completely obsessed. 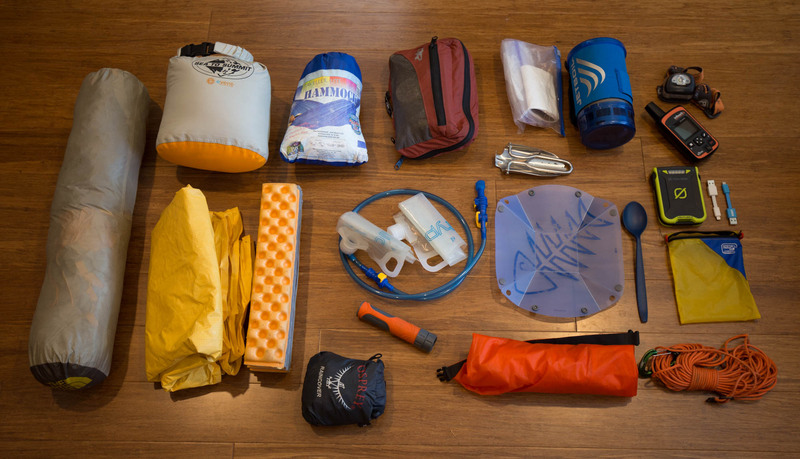 I don’t go around telling everyone about what gear I have and asking them what gear they have, but I do spend a significant amount of time researching gear in the internet and building lists to help determine the best combination of gear to bring on trips. 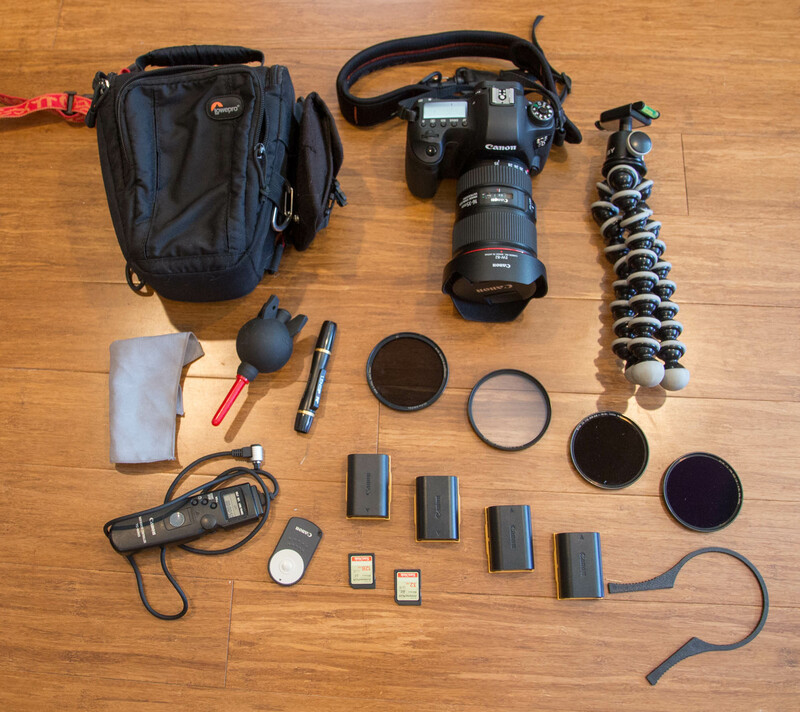 Through my searches, one of the most interesting and often helpful things I’ve encountered are posts and images showing what other people carry in their bags. These reality TV inspired peeks into other’s setups have offered inspiration, discoveries, and re-affirmation of my own gear decisions. So, in an effort to give back to the network of information out there, today I’ll be showing you what’s in my backcountry overnight bag. 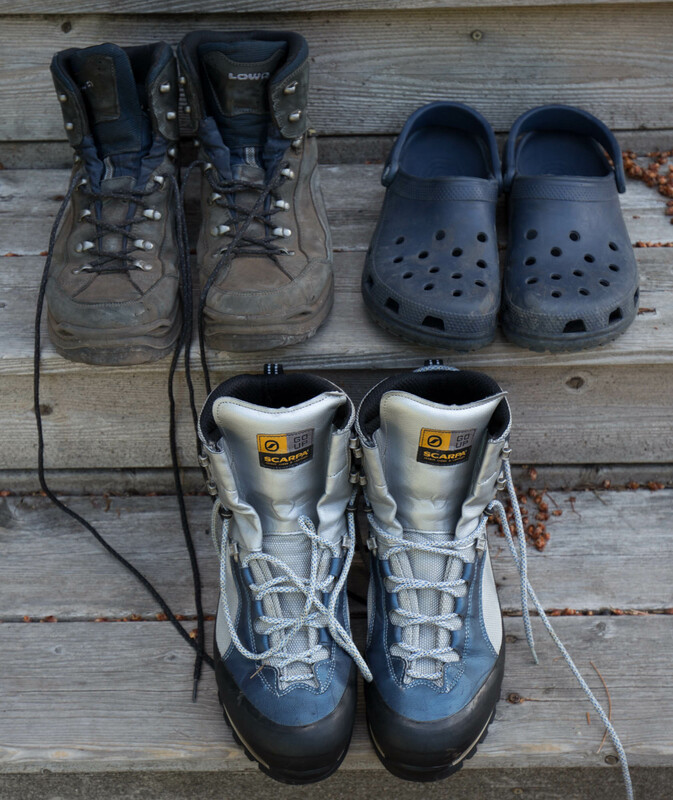 We’ll begin with my overnight gear. The pack I use to carry all this gear is the Osprey Atmos 50. 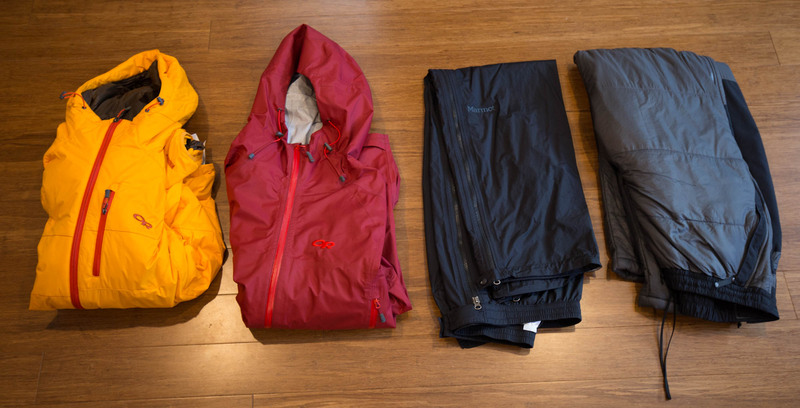 It’s a great pack and is comfortable up to 40 lbs. After that, the suspension system can’t quite handle it. The load stabilizers are too low and the pack is not designed for loads that heavy. Generally this works out fine. 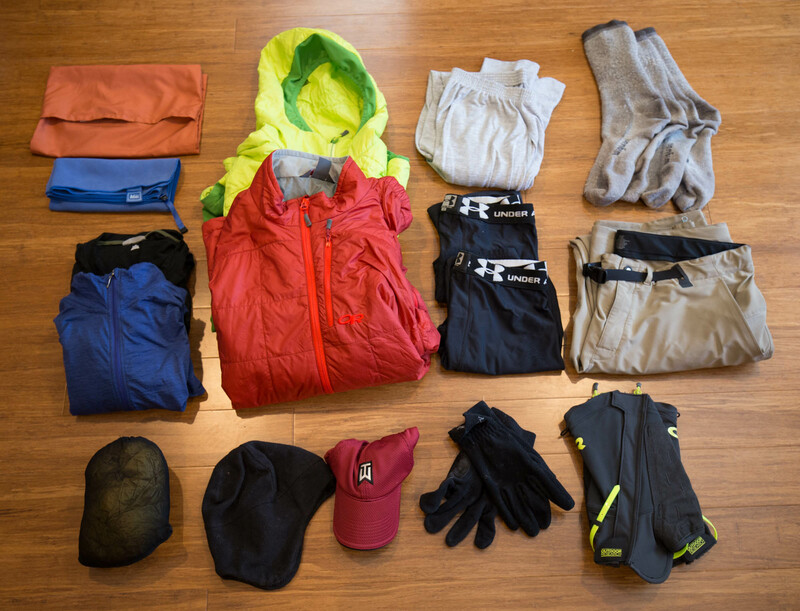 For shorter trips (2–4 days), my pack is usually 25–30 pounds and my camera bag is 10. 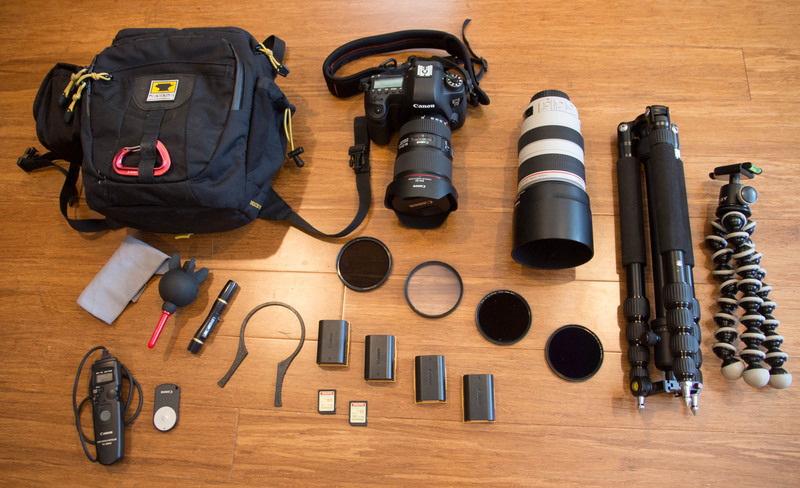 For longer trips, where food weight becomes a factor, I bring my lighter camera load. However, my upcoming Glacier trip is going to push those limits with 6–8 days of food and with too much wildlife not to bring my telephoto lens. The Atmost 65, however, is rated up to 50 lbs, which is an option, though the new model is a bit on the heavy side at almost 4.5 pounds (compared to 3.5 pounds on the older model). 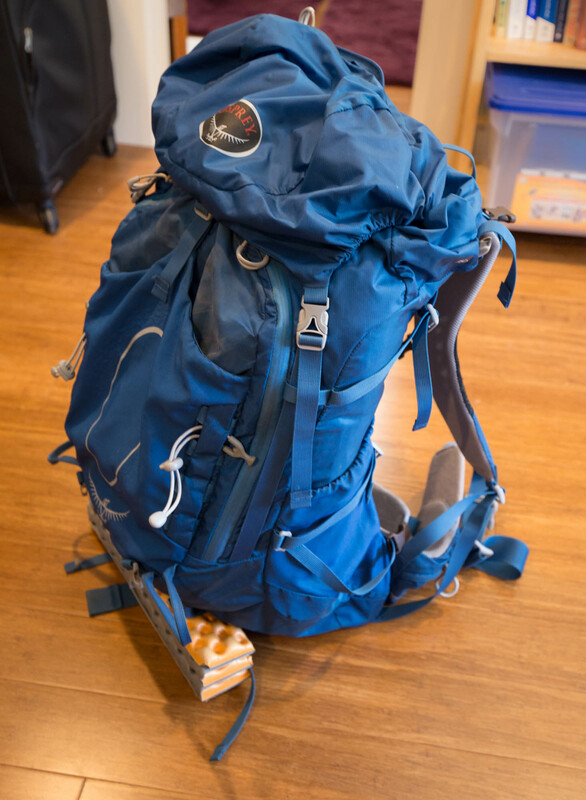 I will likely be evaluating packs that can handle a larger load for my Glacier Trip.